Since Laura's mind is devoid of thoughts this week, it's Mom to the rescue (or should I say … to the review). 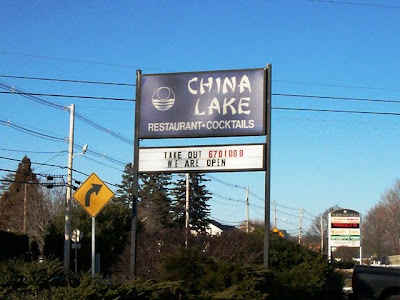 We've been driving by China Lake, a Chinese/American/Szechuan restaurant, for years and years. Really! It's been on County Street in Somerset, a main thoroughfare, for 23 years. However, we've never stopped in … until today. Fantastic feedback on several web sites plus great word-of-mouth reviews from our many fans convinced us to give it a try, and boy were we glad we did. China Lake looks like a small, white country house set back off the very busy street. They have ample parking around the building, but somehow Laura had trouble deciding on a spot. I think we tried to pull in three times before she was content. She said she was finding a good spot for outside pictures, but I think she was weak from hunger. Anyway, we were soon parked and headed inside. It was 2:50 p.m.
Lovely. That's all I can say about the inside. 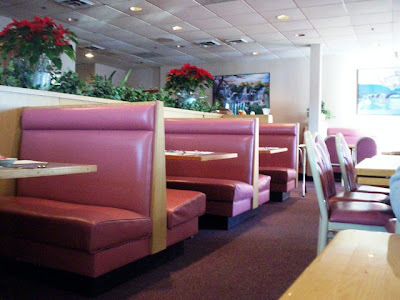 It's all pink and flowery with a mixture of booths, tables, and a separate bar area. It was also immaculate. The menu is large with a great selection of everyone’s Chinese favorites. For appetizers they have chicken wings and fingers, spare ribs, crab rangoon, and many other tempting goodies – all from $4.80-8.85. They also have pupu platters that include egg rolls, fried won tons, chicken wings, fried shrimp, spare ribs, teriyaki steak, and chicken fingers. You can get the pupu for two, three, four, etc. Plus, they have a pupu for one, which was unique to me. A pupu for two is $22. They have several Chinese soups, like the usual won ton, hot and sour, and egg drop. Their dishes are too numerous to mention, but include seafood dishes (lobster kew, shrimp /lobster sauce etc. 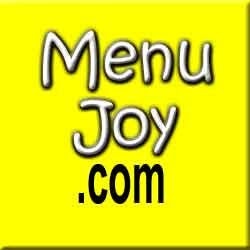 ), beef dishes (Mongolian steak, moo-shu beef etc. ), pork dishes (pork/garlic sauce, hon sue yoke, etc. ), and chicken dishes (lemon chicken, cashew chicken, etc.). All of these dishes run anywhere from around $9.50 to $17.10 (the latter is for the lobster). They have wonderful combination plates – you know the combos – from $5.70-7.65. 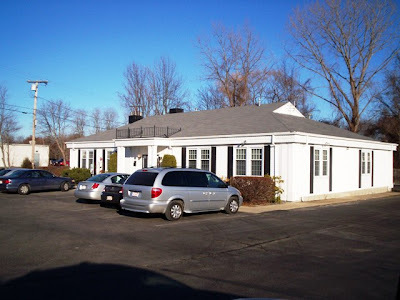 China Lake also has many variations of chop suey, fried rice, and chow mein (Fall River, Cantonese, Boston, and Chicago styles). They also serve plates of just vegetables, egg food yong, lo mein, sweet and sour, and even salads, sandwiches, and sides. They also carry a nice selection of American dishes like steaks, chops, and cutlets; plus chicken dishes, and seafood (and my favorite fish and chips). 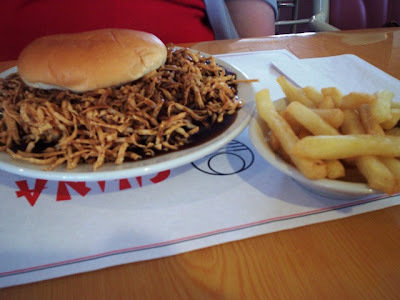 For our first visit, I chose a Fall River favorite – a chow mein sandwich, fries, and soda. As it happens, it's a daily special at $5.50. You can’t beat that! The chow mein (strained = no veggies), around the requisite hamburger bun, covered the plate and was delicious. The fries came in a little dish on the side, and the portion was perfect (and also delicious). What a great Fall River lunch … in Somerset! 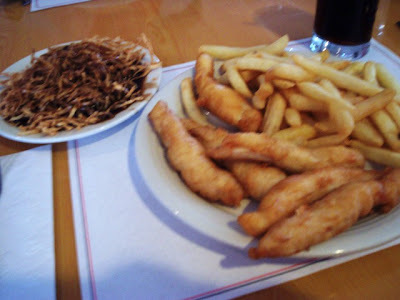 Laura chose a combo ($6.95) of chicken fingers, fries (substituted for rice) and chow mein (strained). She loved every bite - especially the chicken. She said the coating on the fingers was so light, crisp, and not at all greasy. She'd definitely get them again. We left $18.20 on the table for our very nice waitress. The service was excellent! We walked back outside happy and full. What a relaxing lunch … now on to the movies! China Lake is open from 11 a.m. to 9 p.m. Tuesday through Sunday. They are closed on Monday.